Markinch, Fife, Scotland, who produce a musical show in March of each year. I hope that you will find something interesting in these pages and if you live within travelling distance of Markinch, perhaps you would consider joining the company. Contrary to popular belief you DO NOT have to be a singer to join our group. 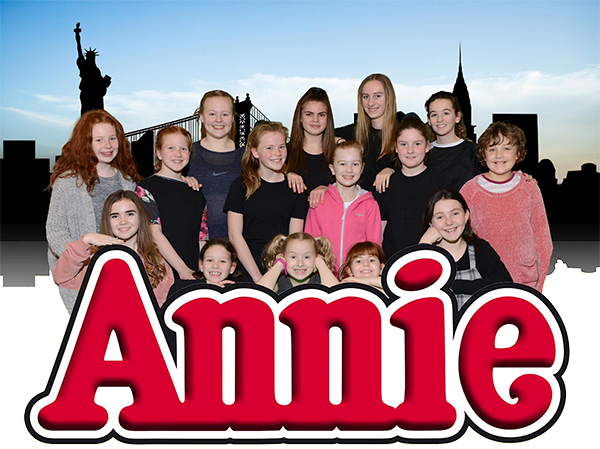 Perhaps you would be interested in participating in acting, dancing, make-up, painting, stage crew work, lighting, costumes or one of the many other jobs which keep our show 'on the road'. Being involved in any capacity, producing a show to present to the public gives us a great deal of fun and satisfaction and is an excellent hobby throughout the winter months. Markinch Amateur Operatic Society is affiliated to NODA, The National Operatic and Dramatic Association, based in London, but administered at a local level by a regional representative. In 1999 NODA celebrated its Centenary, and now has a membership of 2300 Amateur Companies in the UK.